Thursday evening I ended up in a conversation about nuclear fusion, not a subject I know much about, but I have a vague understanding . 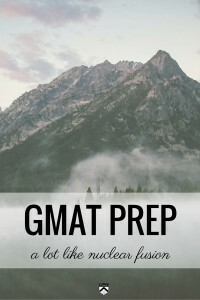 . . that got me thinking about what it takes to study for the GMAT, SAT or GRE. It requires an extraordinary amount of energy upfront. Fusion is the process of combining two nuclei into one larger nucleus. The sun fuses hydrogen nuclei to make helium. It then fuses helium nuclei to make beryllium and then beryllium into lithium. But where does the energy come from? Each time two nuclei combine to form one nucleus, a tiny amount of the atoms’ mass is converted into a large amount of energy. Leaning on Einstein here, the amount of energy released is equal to the mass lost times the speed of light squared. With such a fantastic amount of energy created from such a tiny amount of mass, fusion makes for an amazingly powerful energy source – we just haven’t figured out how to do it on Earth. 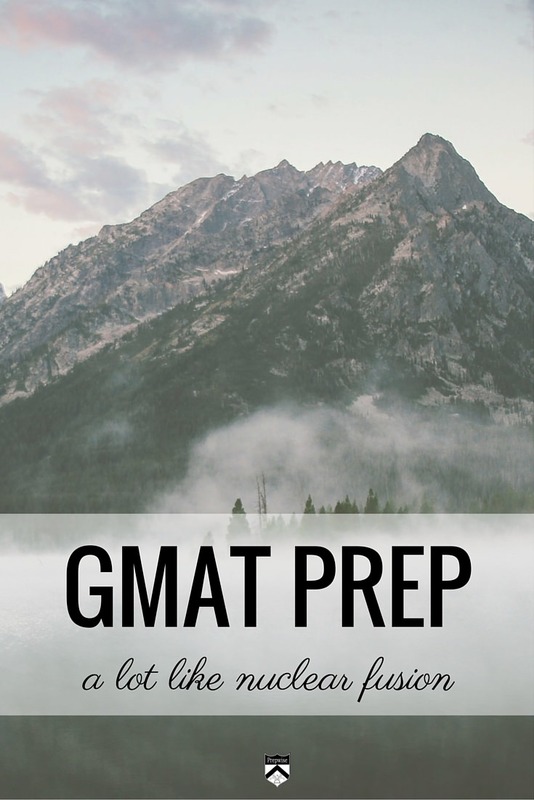 So what does this have to do with your test prep? When you start a project whether it be studying for an exam, launching a business or creating a winning sports team, you invest significantly more time upfront to get the results you seek. There may be long hours; there is most certainly immense frustration. You struggle to move forward, lurching around like a baby learning how to walk, stumbling this way, stumbling that way until you finally “get it.” You finally learn how to walk because you persist in the stumbling. You finally expend enough energy and enough time that your muscles understand what they are supposed to do when you decide to walk. How’s this for hyperbole . . . But why not use your new knowledge of fusion and say it’s like creating energy from the sun…. The energy released from the sun is in the form of photons. Those photons travel from the core of the sun to the surface of the sun and ultimately to the surface of the Earth. The journey from the core of the sun to the surface of the sun will take more energy/more intensity/more time than any other leg of that journey. Since we are measuring photons we measure the time it takes for a photon to travel from the sun’s core to the sun’s surface and then from the sun’s surface to the Earth’s surface. It takes the photons 100,000 to 200,000 years to travel from the core of the sun to the surface of the sun. The photons get bounced around by the gas molecules in the core so their journey is long. Much like creating a winner – be it on an exam or in sport – for any mastery target. Intense focus on the destination is required. But once the photon reaches the surface of the sun it takes a mere 8 minutes to reach the surface of the Earth. Crazy stats on Space Shuttle Fuel and it’s effect on ozone layer written by a Chemical Engineering grad student.